Hello, all! Kristina here with some more inspiration using the April 2018 Card Kit from Simon Says Stamp. This kit is full of awesome, colorful supplies! 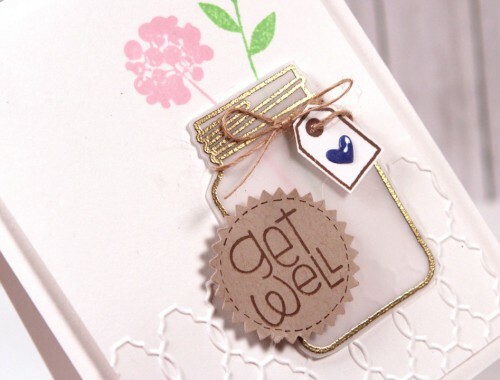 I thought it would be fun to make a matching card and envelope. 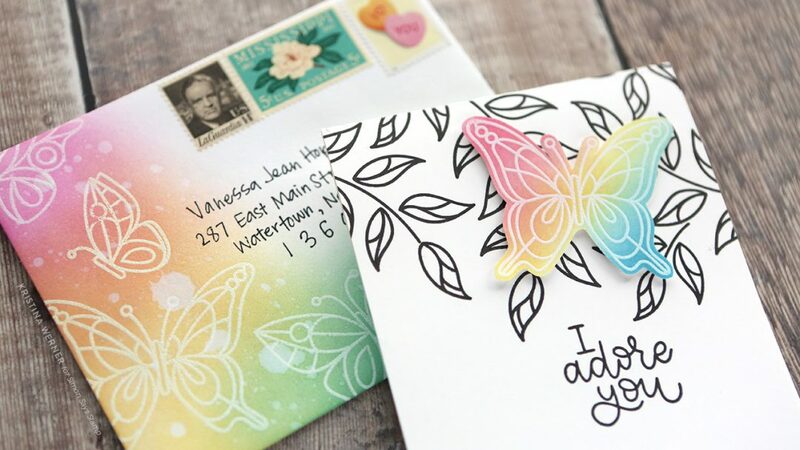 I started with the envelope first by stamping and white heat embossing some of the butterfly images from the kit’s stamp set Beautiful Day (also available to purchase outside of the kit). Using the Distress Blending Brush (also included in the kit! ), I ink blended the two Distress Oxide ink colors in the kit (Squeezed Lemonade and Mermaid Lagoon) and added a third color from my stash (Picked Raspberry) to make the effect more rainbow-like. I then addressed the envelope using a black pen. NOTE: Address used with permission. Thank you, Vanessa! 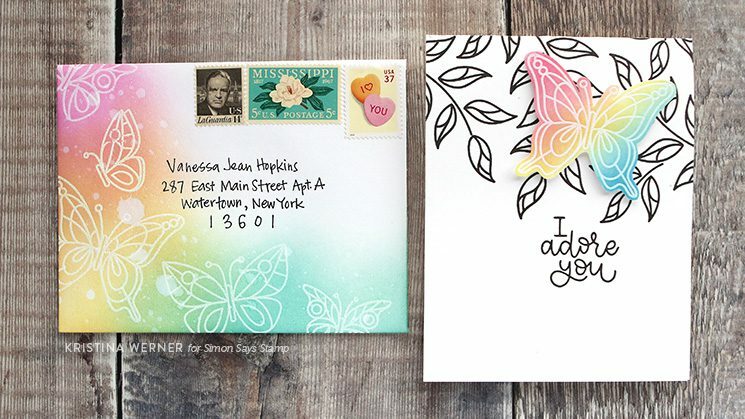 For the card, I used a similar technique, but cut out the butterfly after adding the ink blending. Then I create the card base using white cardstock in the kit and stamped the leaf images from the stamp set in black ink. Then I adhered the butterfly using foam tape. I hope you enjoyed today’s card and envelope! Thanks for stopping by! You can get the April 2018 Card Kit HERE. You can also subscribe to future card kits HERE.